Certified Organic. 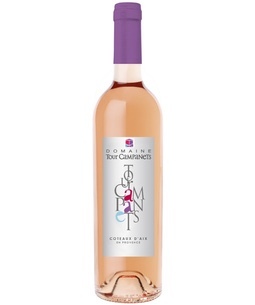 This aromatic, refreshing and elegant Provence Rosé boasts flavors of wild strawberries and other red fruits. It is elegant and refreshing. The Domaine takes great care in making this rosé. They harvest the grapes at night to limit oxidation. Then they press the grapes and let the skins only spend a few hours in contact with the juice before fermentation. This short time produces the beautiful whisper of a hue.